What goes into a Compliant Background Screen? Background screening compliance is a hot topic as of late – mostly because of the continued momentum for Ban-the-Box legislation as well as high profile, high dollar lawsuits. Smart employers stay ahead of the curve by establishing a clearly defined process, training staff and evaluating at least once a year. Today, we’ll discuss 5 primary areas of compliance and best practices: consent, submitting the request, receiving the results, adverse action and making the final decision. Before we get started, there is one area that is nearly as important as the report itself: the company you work with. Partnering with a reputable, service-oriented background screening company can make or break your compliance. When vetting the company, be sure to discuss all your needs and expectations to identify discrepancies early on, avoiding potential pitfalls. Additional service offered by Choice Screening, such as our complimentary online consent form, Adverse Action Letters and Choice ReScreen, have become essential components in our client’s background screening process. Once you’ve found the background screening company of your dreams (aka Choice Screening!) we’re ready to focus on what goes into a compliant background check! Use this as an overview guide to get you thinking about your own background screening process. If you like what you see, go ahead and make the decision! Any time you take an action based all or in part on the results of the background check that is adverse to the applicant’s interest you must follow the Adverse Action process; this is broad so be sure you understand what it means. If you’ve already hired your applicant – congratulations!! If you’ve proceeded through the adverse action process including taking final adverse action via the Post-Adverse Action letter, we hope you find someone soon! If you’re in limbo and need to decide, Choice Screening can help clarify info on the background report, but cannot advise you or help you make the hiring decision… We’ll let you know where our limit exists. So, what goes into a compliant background screen? Compliant background screens include: compliant consent forms, ordering the right services, knowing how to use the results, and following appropriate adverse action procedures! Keep in mind, your industry, your city or your state could have additional regulation that you need to consider so be sure you’re working with a qualified employment attorney when establishing and reviewing your policy. You may have noticed the reoccurring theme: training! Be sure your staff is fully trained and your clearly written policies are reviewed regularly. This will help identify red flags as well as help keep you compliant along the way! 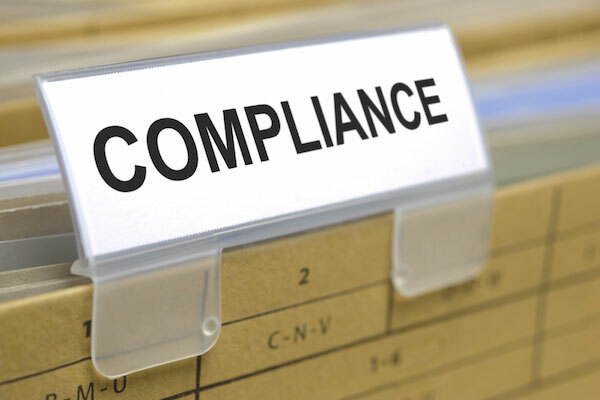 Still have some questions about compliance? Background screening enthusiast. Blogger. FCRA Advanced Certified by NAPBS. Dedicated to all things background screening! You’re going to find a LOT of useful info in our blogs. But maybe you want to learn even more about the Choice Difference? © 2019 Choice Screening, Inc.